On Wednesday 6th March, we took over Curzon Bloomsbury to ask Are agency brands doomed? A cheery topic I know. But the day itself was filled with impassioned debate on all angles of the topic, as we heard from Sir John Hegarty, VCCP's Charles Vallance, Uncommon's Lucy Jameson and the BBC's Chief Customer Officer Kerris Bright. Prior to the event, we surveyed 50 brand CMOs and 50 agency CEOs. These included brands such as adidas, Britvic, Bacardi, Direct Line, MARS, Microsoft, Barclays and Waitrose. Whilst agencies included the likes of Gravity Road, Portas, VML/Y&R, The Brooklyn Brothers, WeAreSocial, Elvis, FCB inferno and Golin. 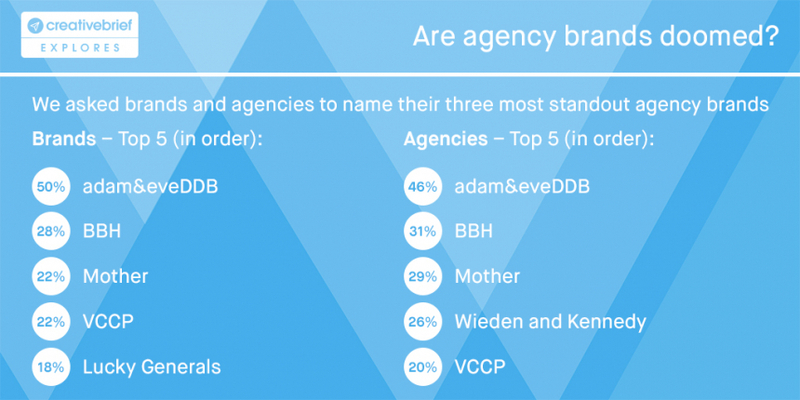 We’re talking about agency brands specifically here. About their cultures, their value constructs, their senses of identity and purpose, their clarity of mission, their spirit. And we’re asking whether the importance of investing in these elements of agencies are diminished and ultimately doomed in a world where creativity and the products and services that they sell are becoming increasingly commoditised. The backdrop against which we’re asking this question is fascinating, exciting and slightly terrifying in equal measure; and I don’t think it’s going too far to say that the industry is currently suffering what is increasingly amounting to a creeping crisis of confidence. 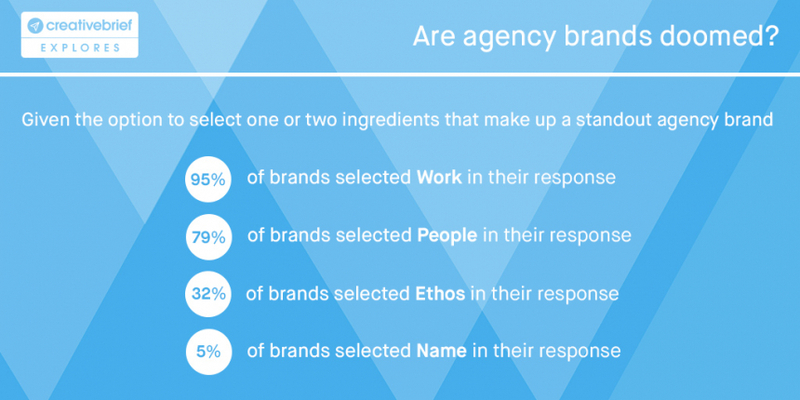 We're asking the question are agency brands doomed or are they in fact (at the other end of the spectrum) the answer to all our woes? You can read what Campaign made of the stats here. 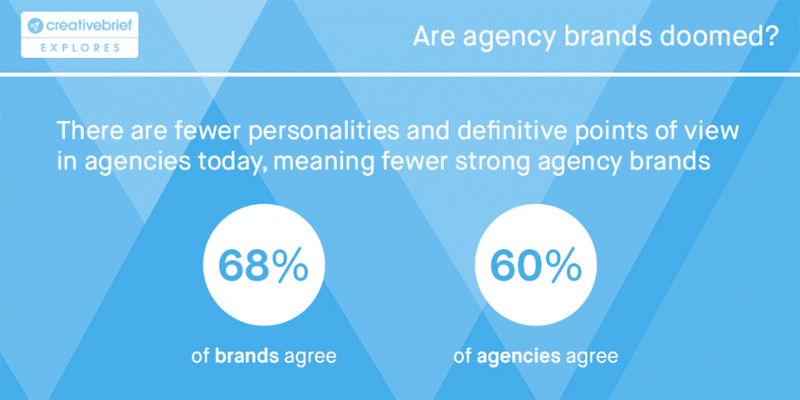 For more information about the survey, or to share your views on agency brands get in touch with PR Manager David Sanger.